Last edited by ratherbefishin; 10-31-2018 at 07:07 AM. It's all the recreational fisher that are to blame for everything wrong with the oceans. I gather this because it is always those of us recreational fishers that get the reduction in quotas, and closed seasons. (tongue in cheek of course) It makes me mad when the simple, logical solutions, like the ones mentioned above are ignored. If only politicians were logical. The mid August run of Chinook was virtually non existent and those that did show were much smaller, a ‘big one’ was in the mid 20’s and by the time the restrictions on coho were taken off this fall,the coho had already gone though.Too soon to call yet, but winter springs,once the mainstay of the off season fishery aren’t showing up. Last edited by ratherbefishin; 10-31-2018 at 07:56 AM. Some of us are working on The Solution. Last edited by ratherbefishin; 11-01-2018 at 06:17 AM. 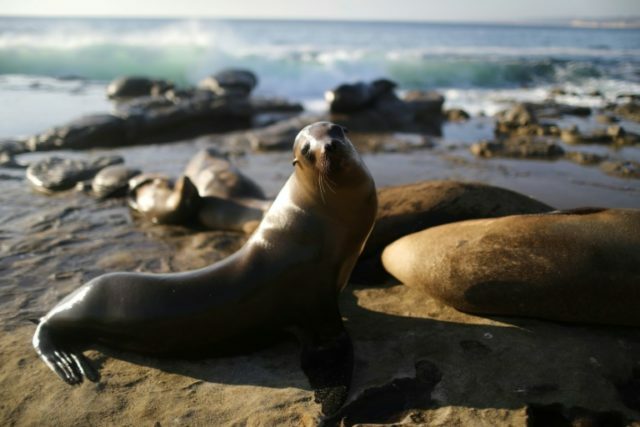 13 Jan 2019Los Angeles (AFP) – Authorities in the western US state of Oregon have euthanized four sea lions in the last month as part of a program to protect salmon runs and steelhead trout that are at risk of going extinct. A spokesman for the state’s Department of Fish and Wildlife told AFP the lethal removals of the California sea lions began in mid-December and would continue through May. Rick Swart said the killings were necessary to save migrating steelhead that have been ravaged by the sea lions in recent years as they swim upstream from the ocean to spawn. “Our scientists believe that if these sea lions aren’t removed, that run of steelhead could go extinct anytime,” Swart said. He said salmon were also threatened by the sea mammals, whose population has exploded since the Marine Mammal Protection Act was passed in 1972. He said that as the fish gather in a big school while preparing to go over the waterfall and dam, the sea lions swim in and feast on the trout. He said the state was authorized to kill up to 93 sea lions a year but he expected that no more than 40 would be removed this year. Authorities in the past have used various non-lethal techniques, including loud noise or rubber buckshot, but the animals have adapted and learned how to avoid the threat. Back in 1987 the gillnetters had a good system of ridding the mouth of the Skeena river of seals and sea lions. 270 cal. The worst day slinging lead is still better than the best day working. I've seen seals all the way up by Flood which was odd but I guess they're just following the gravy train.